When it comes to septic tanks and systems, it’s pretty much never a DIY situation. A malfunctioning septic system can contaminate Rancho Cordova drinking water supplies and cause flooding, as well as create sewage backup and biohazardous situations. If you need a septic system installed, pumped or repaired, hiring a certified Rancho Cordova, CA septic professional is a no-brainer. Area is leading the industry in providing professional, well- maintained and on-time site services for your special event, construction, commercial and residential needs. 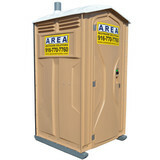 Our mission is to provide outstanding customer service with portable restrooms, temporary fencing and septic & grease trap services. 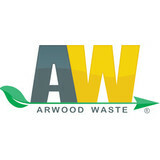 PORTABLE TOILET RENTAL & DELIVERY, RENT PORTA POTTIES, RESTROOM TRAILER RENTAL, HAND WASH STATIONS, PORTABLE RESTROOMS RENTAL & PORTABLE SANITATION SERVICES PROVIDED BY AW WASTE MANAGEMENT | Affordable Porta Potties & Toilet Rentals Best Prices Portable Toilet Rental for Special Events, Races & Festivals | Dumpster Rental Portable Toilet Rental Prices vary depending on your needs & services provided. 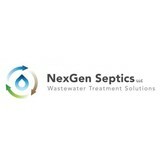 NexGen Septics LLC is a septic system service provider with extensive land development and wastewater treatment experience dating back to the early 1990s. 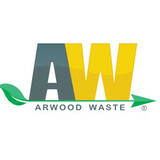 Their continuous innovation of new ideas solve their client's most complex septic system problems. Septic system products: Advanced Enviro-Septic®, Envirofin®, and the De-Nyte® Denitrification System. Septic system services: home septic systems, business septic systems, commercial septic systems, municipality and community septic systems.